In 2012, Zeversolar was born, you may know that SMA in fact, own 98% of them? SMA, known of course, for some of the best PV inverters in the world. But, SMA's baby was soon a star in its own right. Many have come to see that this brand stacks up well with others that cost much more. They have both a one and three phase range for use at your home. So there will be unit that suits you for sure. We have the single phase series from 1.5kW up to 5kW, then the three phase from 4kW to 10kW. Most models now have Wi Fi built in, but those that don't are able to have it. They all have a 5 year warranty, but it doesn't cost much to add on a bit more. 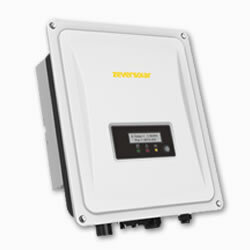 So you're looking for a good inverter that costs less but still has what it takes? If this is the case, then you need to take a look at these two. If it is a single phase that you need, then it will be a Zeverlution. Or if it’s a three phase, then it will be an Evershine. These inverters have the lot, in fact they still have an LCD screen while the SMA Sunny Boy does not. As soon as you take them out of the box, you can see they're a good unit. But put the cost to one side, this is a great product. Yes, you can spend more but not always get more. So without doubt this is one of those times. 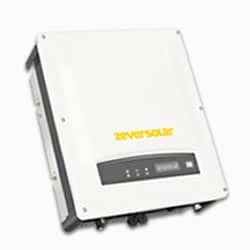 There was a need for a good, low cost PV inverter and so the Zeverlution came to be. And so too the three phase Evershine was born of the same mold. They made their own lay out that in fact has less parts and works better than most. Due to this, the weight of the unit went down by 39% and made it easy to install. The MPPT works better as well, so you get the max power from your PV more often. It has Wi Fi and LAN so you can check your PV at any time, any place. 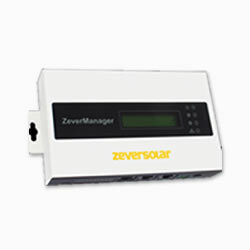 But Zeversolar take care of the buyer as well and give a rock solid warranty that you can trust. So you can feel good buying one of these. We have not had a care with a Zever and so we doubt that you will too. But to be on the safe side, there is a good option to think about as well. So go one better and for only $200 more, you can go on the extra 5 year warranty plan. That will also give you peace of mind. With so many to choose from, it can be hard to work out which one to get. But it has the things you need like dual MPPT, is less than 11kg, so it’s easy to put in. What's more, the DC wiring on this thing is a snap to put in. Quiet with only 25dB noise and if you live in the clouds, it also works at 4000m! It comes with LAN and Wi Fi so the soft ware can be up dated on line. Well after all that, it gets a big thumbs up from us! The easy way for home owners to keep an eye on their solar PV. This is the door to the Zever Cloud web site that lets you see at once your PV system output. Then if you want, you can have the report sent to you by email as well. The screen is easy to read so you can track what's going on. In fact if you have to set an export limit to the Grid, then this can be done with ease. And since you asked, yes, you can turn your hot water system or pool pump on or off too. So all in all, this is a very nice piece of kit that will make your PV even better.